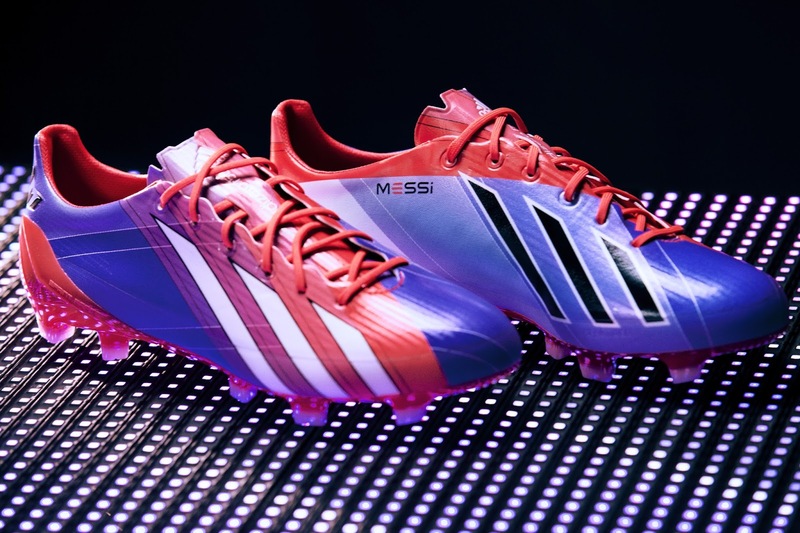 adidas revealed the latest iteration of the adizero f50 Messi football boots collection. Messi's exclusive f50 boots receive their latest treatment with a bold turbo/blast/purple/white colourway. To celebrate the launch the world's leading football brand has displayed the genius of Leo Messi like you've never seen it before. 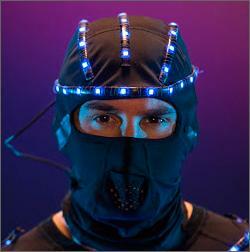 To explore the actions that make him the best in the world, Leo has been fitted up with an innovative LED light suit to help capture his movements, touch and speed in a whole new light. This film entitled 'The New Speed of Light' is a truly unique study of football motion. Created using a bespoke LED suit and a pair of 'hacked' adizero f50 Messi boots, it showcases the direction and body movement of the world's best player. It was shot at 1000 frames per second to create a specially developed visual display that defines the new speed of light.